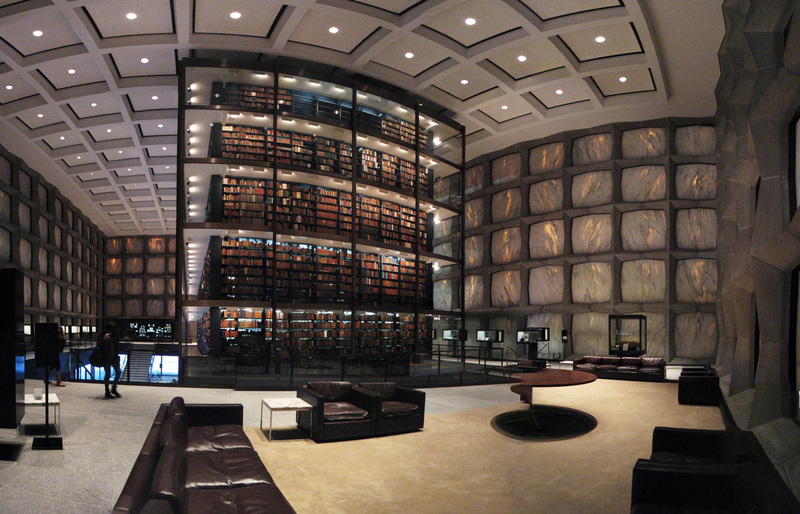 Yale’s Beinecke Rare Book and Manuscript Library has one of the world’s largest collections of rare books. The library’s holdings include about a million items, most of which are housed on-site at the Gordon Bunshaft-designed building. 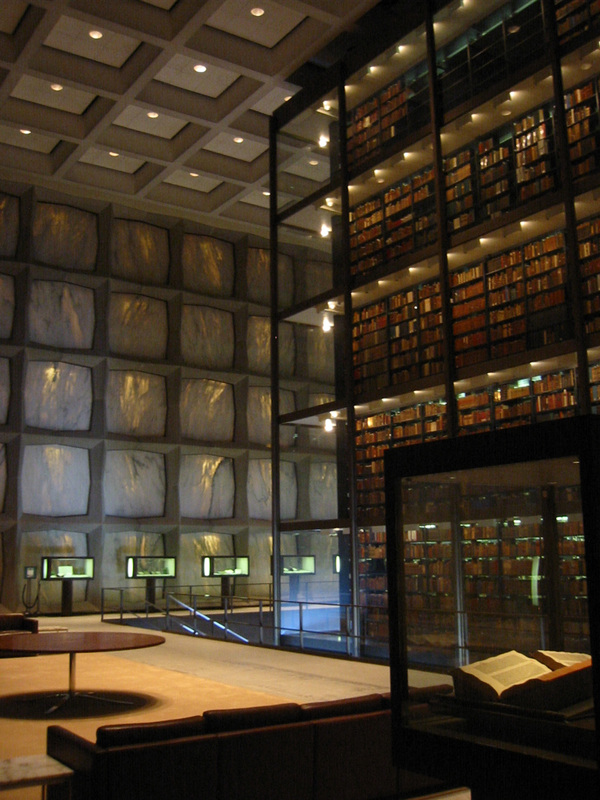 In addition to its remarkable collection, the Beinecke is known for its architecture. The building’s famous facades are composed largely of panels of translucent marble, which filter daylight to protect the precious objects inside, and cause the library to glow at night when illuminated from within. In 2015, 52 years after its opening, the Beinecke embarked on a major renovation. A key impetus for the renovation was the upgrading of the building’s heating, ventilation and air conditioning (HVAC) system for conservation purposes. 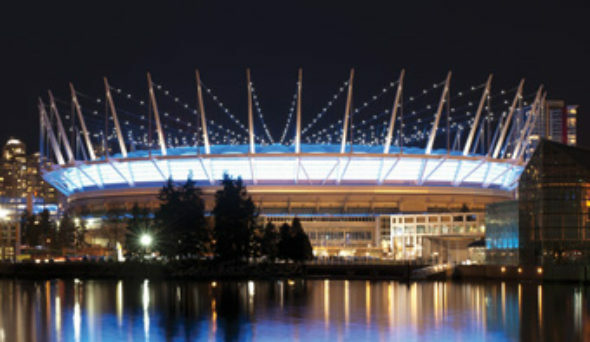 We collaborated closely with the project’s mechanical engineers (WSP Group) to evaluate possible ventilation schemes, and undertook detailed analyses of how the proposed HVAC systems would perform. Precision was vital: the Beinecke needs refined temperature and humidity controls to ensure that its invaluable collection--including a Gutenberg Bible, a first edition of Paradise Lost, and countless other fragile treasures--can continue to withstand the passage of time. In consultation with the mechanical engineers, we identified three areas where computer modelling would be useful in evaluating the performance of the proposed HVAC system. 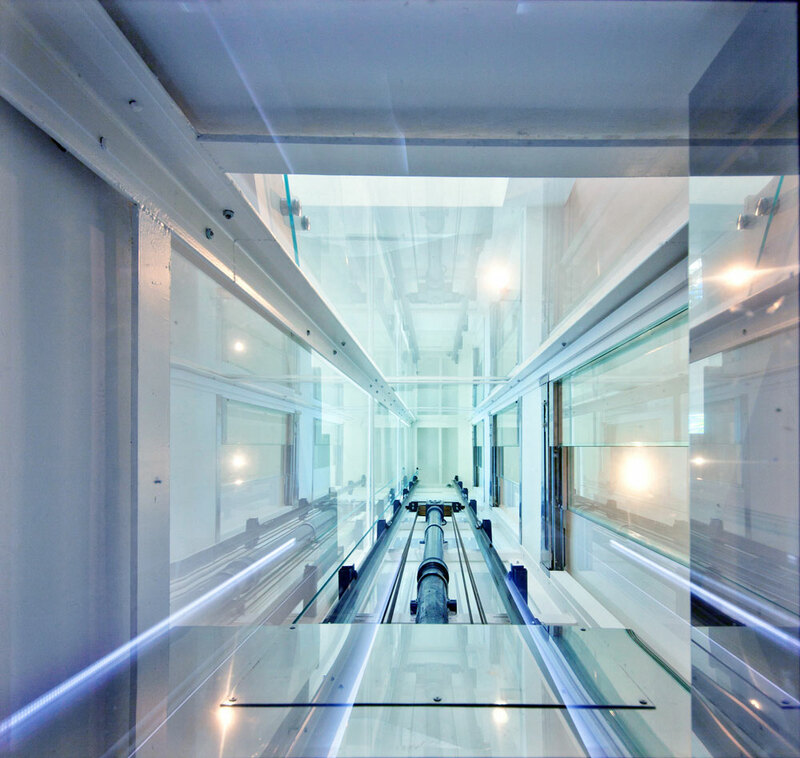 Two of the areas flagged for study were in the library’s “stack tower,” a six-story glass box that rises through the center of the building, containing about 200,000 volumes. The other was the High Bay area, the space inside the building’s envelope but outside the central glass box. We carried out several advanced computational fluid dynamics (CFD) analyses to evaluate the performance of both the current and proposed ventilation systems. In the stack-tower areas, the main goal of our CFD modelling was to deliver information that would inform the design of the new system in order to improve the uniformity of the conditions throughout the spaces. We set out to analyze the effectiveness of the existing system, precisely identifying any areas that were under-ventilated or over-ventilated. We experimented with variations in the distribution and quantity of supply air, quantifying how various adjustments improved the uniformity of air temperature and local air change rates. We also identified regions of fresh and stale air. Our ventilation study for the High Bay area set out to answer several questions in order to help the HVAC system’s designers maximize the stability of temperature and humidity for the library’s materials. 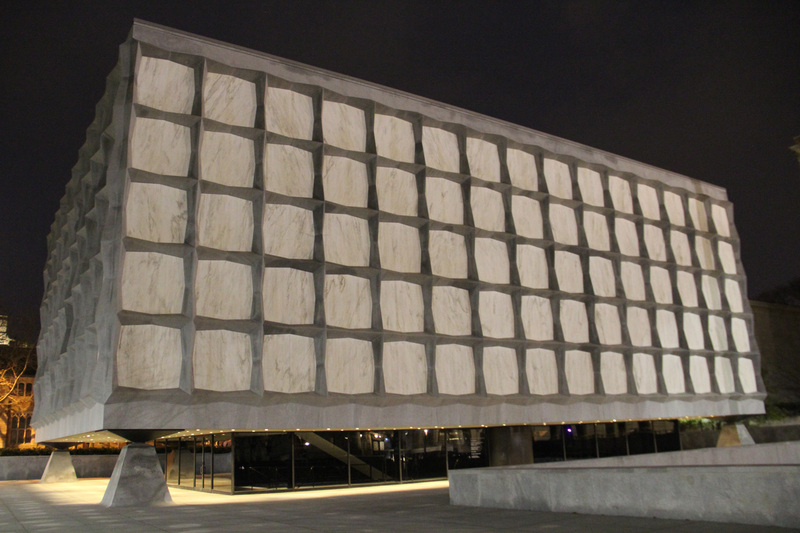 Unlike most buildings in the northern United States, which have insulated walls, the Beinecke is distinguished by its envelope of marble and granite, exposed inside and out to allow light to pass through. The 1.5-inch-thick marble panels that compose the building’s famous façades presented unique heat loss and condensation concerns, which our analysis needed to address. anticipating the range and frequency of positive and negative internal air pressure, and establishing appropriate outdoor air supply rates. To generate this information, we needed to develop a detailed picture of the flow of air and moisture in various areas of the Beinecke. We began by dividing the air volume in the space into 8-million computational cells, dividing the volume into smaller cells around areas of interest. We gathered more detail near walls to better predict heat transfer through the solid walls and understand how the air would flow over wall surfaces. We took the same approach near supply-air diffusers to capture the trajectory and spread of the air jets. 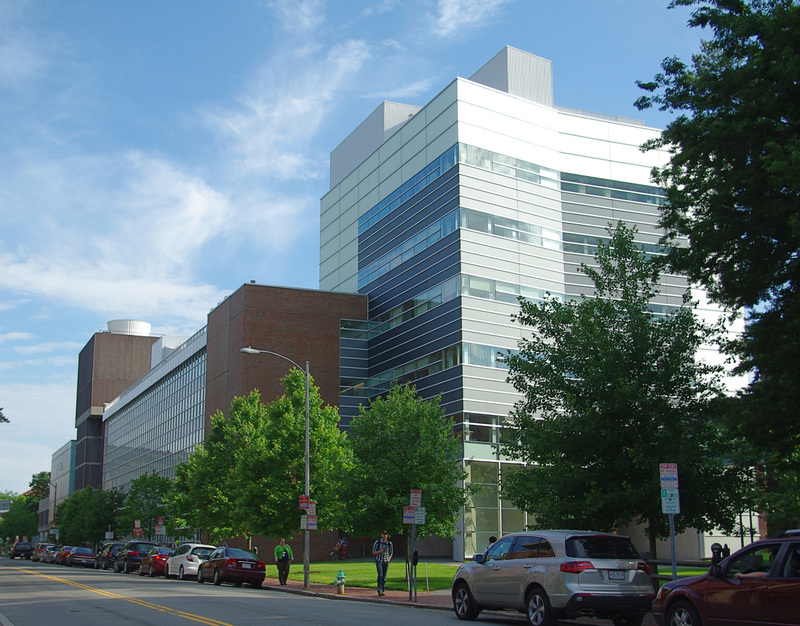 Our CFD analysis revealed that, in addition to the interior and exterior convective heat transfer that would affect more conventional buildings, the Beinecke was subject to significant heat transfer from surface-to-surface long-wave radiative heat transfer. 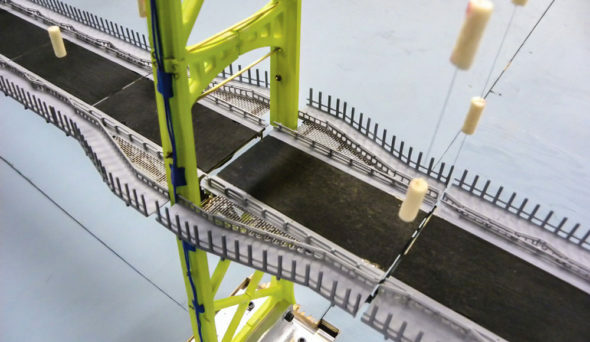 The detailed account of the building’s physics we were able to achieve through CFD analysis enabled us to offer our project collaborators from WSP Group more accurate envelope heat-loss estimates for the High Bay space than traditional engineering methods could have. CFD analysis of the existing and proposed ventilation schemes in the stack areas also supported better-informed decisions by the design team in order to refine the supply-air distribution systems. 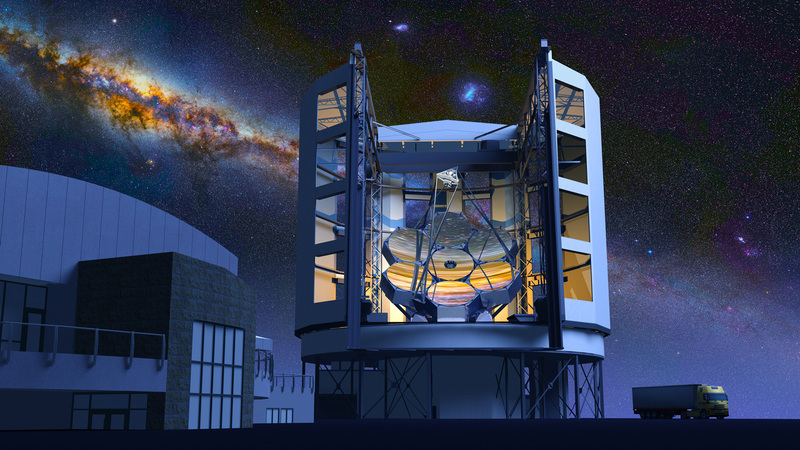 Our analysis enabled our partners to move forward with their work with greater confidence that the proposed renovation plan would indeed safeguard the Beinecke’s unique trove of letters, manuscripts, maps and books for future generations of students and scholars.